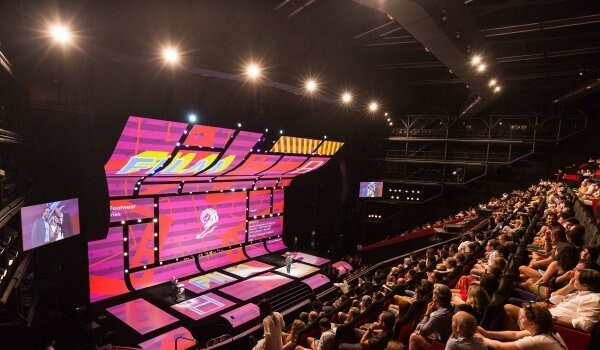 Cannes Lions Innovation 2015 has announced winners in the Cannes Lions Film, Film Craft, Branded Content & Entertainment and Titanium & Integrated categories along with the presentation of Agency of the Year, Independent Agency of the Year, Holding Company of the Year, Network of the Year, Palme d’Or, Lion of St. Mark, the LionHeart Award and Creative Marketer of the Year. In the Film category AMV BBDO London / BBDO SOUTH AFRICA Johannesburg won a Gold Lion, Y&R South Africa and Black Ginger won three Silver Campaign Lions and Joe Public and Velocity won a Bronze Lion. Production house Golden Planes won a Bronze alongside Saatchi & Saatchi Milan. In the Film Craft category AMV BBDO London / BBDO SOUTH AFRICA Johannesburg won a Bronze Lion. In Branded Content & Entertainment King James Group and Arcade Content won a Bronze Lion. Bob Greenberg, Founder, Chairman and CEO, R/GA was named this year’s Lion of St. Mark in recognition of his outstanding contribution to creativity in advertising and communications. Former US Vice-President Al Gore was given the LionHeart Award for his work in bringing environmental issues to the attention of the world. And the Creative Marketer of the Year trophy was given to HEINEKEN, collected by Jan Derck van Karnebeek, Chief Commercial Officer. Other awards presented at this evening’s ceremony were:Agency of the Year was given to R/GA New York. Grey New York came second and Ogilvy Brasil, São Paulo third. Independent Agency of the Year went to Droga5, New York. Second place Wieden+Kennedy, Portland and third to Wieden+Kennedy, London. The Palme d’Or, given to the most awarded production company, was presented to Smuggler USA. Blink UK came second and Somesuch UK third. The Network of the Year award was presented to Ogilvy & Mather with BBDO Worldwide taking second place and Grey in third. Also awarded was the Holding Company of the Year which went to WPP. Omnicom took second place and Publicis Groupe third.